For those of us in the UK who’ve been fans of Hong Kong cinema for decades – you know us, we’re the ones who keep calling Rogue One ‘the new Donnie Yen movie’ – well, for us, 2016 was a rather disappointing year. That shouldn’t be the case: after all, it’s never been easier for me to see the latest releases from the territory. For example, the Odeon cinema on Panton Street in London frequently includes new HK films in its programming, in an attempt to draw in audiences from Chinatown just down the road. This approach hit some sort of peak around Chinese New Year: no fewer than three of the Odeon’s four screens were dedicated to brand new holiday blockbusters, from Stephen Chow’s sublime The Mermaid to Wong Jing’s ridiculous From Vegas To Macau III. All too often, though, the Hong Kong releases showcased at the Odeon were clustered around the Wong end of that quality spectrum. Sitting through several movies at Panton Street, trying not to be too self-conscious about how my viewing companion and I were the only gweilos in the room, it struck me how many of Hong Kong’s films these days are soulless plot-free rambles, using cheap CGI as an alternative to the more organic excitements we used to associate with them. You suspect Hong Kong’s filmmakers feel the same way. In recent years, some have tried deliberately appealing to the nostalgia of their former audience, packing their casts with old actors dragged out of retirement for one last hurrah. 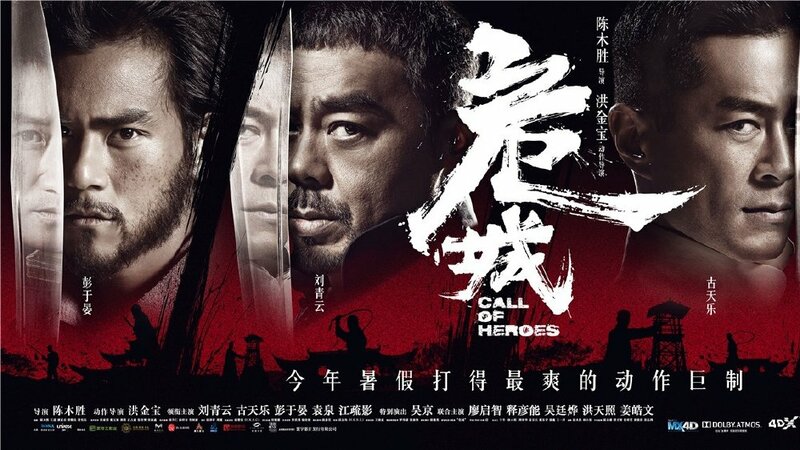 Call Of Heroes – the best non-Stephen Chow HK movie I saw in 2016 (let’s face it, he’s a genre unto himself by now) – doesn’t push those buttons quite as obviously as other films have done, but its old-school approach to action makes for a very welcome change. It’s a view presumably shared by UK distributor Cine Asia, who’ve themselves come out of retirement after four quiet years to get this film into the shops. We’re in China in 1914, a time where power-hungry warlords are running amok. The small town of Pucheng is constantly on edge, with the threat of invasion hanging over them, not to mention refugees flooding in from other towns that have already been invaded. Sheriff Yang (Sean Lau) and his small team of assistants are doing what they can to keep law and order. When a stranger rides into town and kills three people, Yang does his job: he arranges a swift trial, and the stranger is sentenced to death. 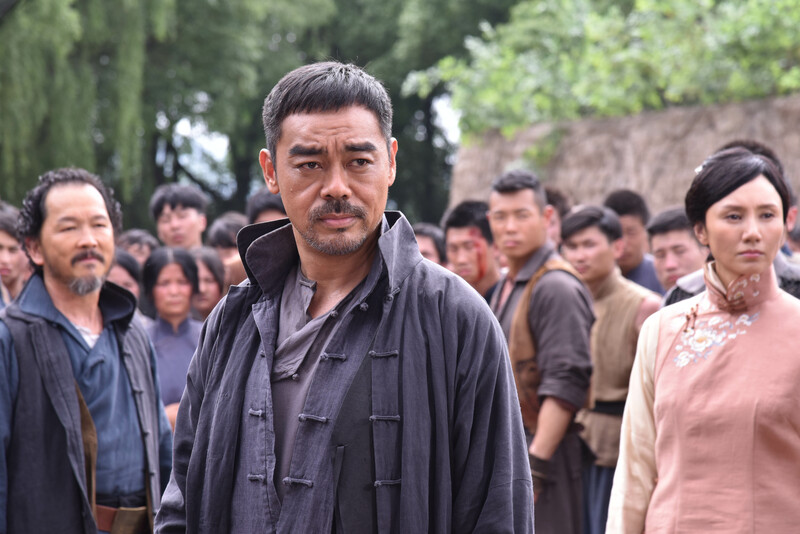 But here’s the problem – the stranger turns out to be Cao Shaolun (Louis Koo), the son of warlord Cao Ying. Within seconds of his sentencing, Cao’s army rides into town to deliver an ultimatum: release Shaolun within a day, or all the residents of Pucheng will be killed. Suddenly, everyone is very keen to have Shaolun released, except for two people: Yang (because he’s made a moral choice and is sticking to it) and Shaolun himself (because he loves messing with people’s heads). Where wandering adventurer Ma Feng (Eddie Peng) fits into this is anyone’s guess, as is usually the case with wandering adventurers. Call Of Heroes may be traditional in several aspects, but one nice twist in the story is that it isn’t driven by a simple desire for revenge. The idealistic official standing against everyone else in his town for something he believes in is a plot device used by everyone from Ibsen to Benchley, but I’ve never seen it used in a Hong Kong film before, and it gives the story an unexpected degree of moral complexity. The two actors on the opposing sides of this dilemma embody it beautifully: Sean Lau’s quiet integrity makes him the ideal choice for the role of the sheriff, but it’s Louis Koo’s baddie here that’s the real revelation. Normally better known for his looks than his acting ability (notably an orange tan that makes Donald Trump look positively albino), he takes the character of Cao Shaolun close to being a pantomime villain without ever quite going over the edge. But if we’re honest about it, this is an action movie: and, unusually, the action director on Call Of Heroes gets as prominent a credit on screen as the actual director, Benny Chan. That’s because the action director is Sammo Hung, a name more likely to draw in the punters than anyone in the main cast. (It certainly worked for me.) Sammo’s a legend, equally loved for his martial arts ability, his sense of humour and his chubbiness: even if you’ve never seen any of the hundreds of movies he’s worked on, you may have caught his Rush-Hour-for-TV cop show Martial Law at the turn of the century. As you’d expect from an action director with Hung’s track record, the fight scenes here are terrific. There are a series of elaborate setpieces dotted throughout the movie: a teashop fight at the start, a night-time ambush on a bridge, and the supersized battle at the climax. These are all staged in a splendidly traditional style, including the use of wirework to cover for the cast’s lack of technique. (Sorry, purists, my definition of ‘traditional’ in martial arts cinema dates back to the late eighties.) Thankfully, the use of CGI is kept to a minimum, its most obvious use being to enhance one of my favourite tropes from 1990s kung fu movies, Climactic Fight Held On Top Of A Slowly Collapsing Structure. Sammo Hung’s credit effectively positions him as co-director alongside Benny Chan, and this ultimately explains why the film works so well: it’s not a period drama or a kung fu showcase, it’s both of these and more at the same time. The drama drives the action, and vice versa. If Hong Kong cinema really is going to rely on nostalgia to get the audiences back, then this is the way to do it – by making films like Call Of Heroes that can bear comparison to the classics of the genre. Call Of Heroes is available now on Blu-ray, DVD and Video On Demand.